The creation of the Eurasian Economic Cooperation Organization is an integration mega-project, commensurate to the complex challenges of the present and future. It is set to become a natural part of a new global landscape, which formation was driven by the heaviest global financial crisis in history. The world faces an age of global transformation. It is forming a new architecture for the global economy that will define movement for many years ahead. The global crisis and further development of new strategic growth models reinvigorated the efforts of some countries and civic institutions to establish regional integration associations in various sectors. The Eurasian space is one such center. Essential events are happening and the economic landscape is changing before our eyes and with our participation. The common economic space is enhancing day by day. The Eurasian Economic Union has commenced implementing its historic mission. We are working to establish executive and judicial supranational competency. Professional and business communities have set out to create and build horizontal integration in different economic areas. These are the new principles for managing economic development. 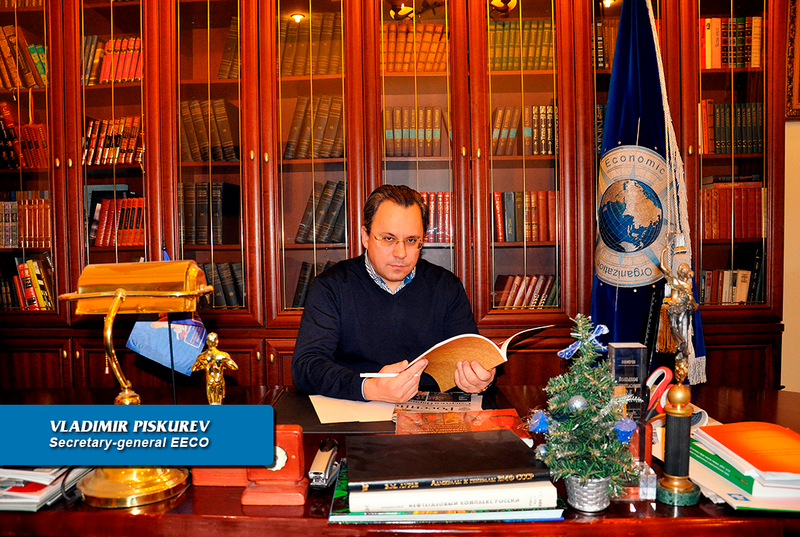 The Eurasian Economic Cooperation Organization is set up to coordinate efforts on the governmental level to implement the large-scale economic integration project in accordance with the best international practices on the principles of mutual benefit, not only to encourage economic cooperation within the Eurasian Economic Union, but also for the entire Eurasian continent, from the Atlantic to the Pacific Ocean. The Eurasian Economic Cooperation Organization will act openly and transparently and form an interested dialog to discuss processes occurring in the Eurasian space and in our everyday lives. We believe that the EECO will form a strong link that will bridge the Euro-Atlantic and Asian development areas. Economically, the EECO may become a bridge that connects various vibrant economies of the European Union and the Southeast Asia. We will seek to facilitate the elimination and cancellation of visa formalities, to create a common Eurasian economic space across Eurasia. We understand that the road we stand on is the first of its kind within the Eurasian economic space, and that the path will be challenging yet honorable. The EECO needs broad public support in its further activities. We believe that promotion of economic development and infrastructure will be soon discussed at the EECO Eurasian Assembly and at open meetings of the economic council that brings together different states, both in Eurasia and worldwide. We are confident that the EECO will be a venue to contribute to economic growth and development, find solutions to current challenges, and improve the future.